We are a team of IT consultants including software developers and systems engineers delivering the value of information systems. We help your business transform data into profit by linking technology to your business goals. We understand a true solutions-based approach goes beyond mere product fulfillment. It's about developing a sound technology strategy that aligns with your business goals. e Tech Solutions was started in 1999 and is headquartered in Oklahoma City, Oklahoma. We have years of experience combining the very best technology with winning professional services to give you a competitive edge to succeed. We believe your IT investment should work for you, not against you. 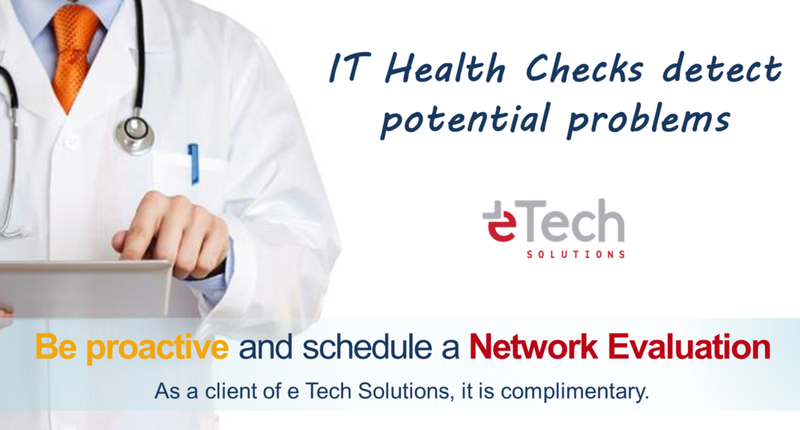 Why choose e Tech Solutions? 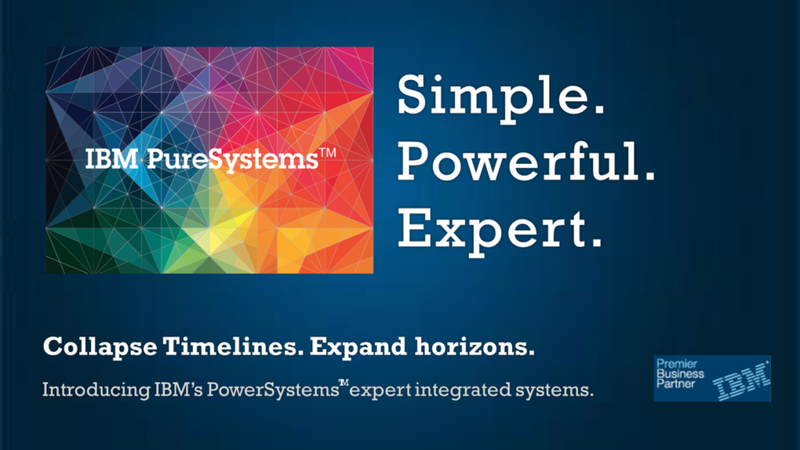 We understand that a true solutions-based approach goes way beyond mere product fulfillment. It's about developing a sound technology strategy that aligns with your business goals, then combining the very best technology with winning professional services to give you the competitive edge you need to succeed. 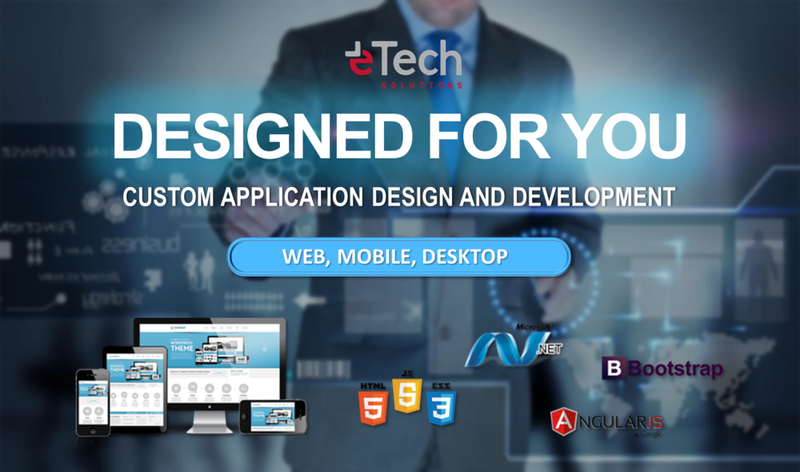 Whether your business requires reliable hardware and software solutions or custom application development services, e Tech Solutions is a total solutions provider that can meet your technology-based business needs. When you invest in technology, you want a partner you can count on to help make your investment pay off over the long haul. e Tech Solutions puts a premium on fostering long term client relationships - cultivated face-to-face; built on mutual trust. We combine experience, dependability and trust with the responsiveness and accessibility you need to get your solution up and running, quickly and efficiently. 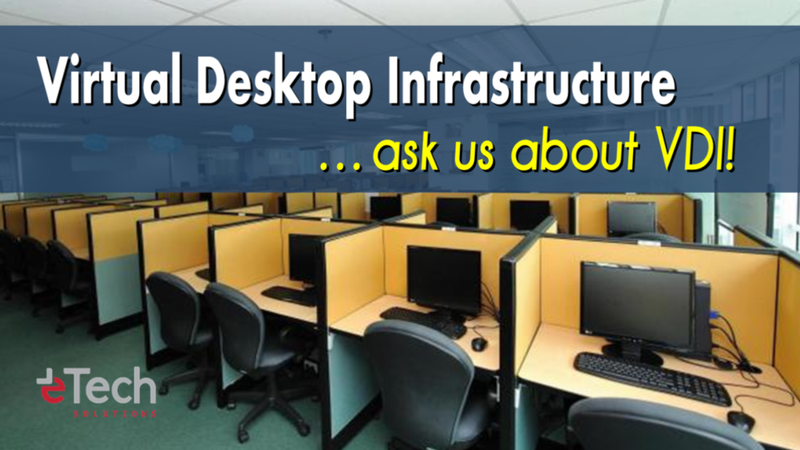 Trust our carefully selected hardware and software vendors whose products and services offer the very best technology. Time can literally mean money, and our local presence allows us to meet with our clients on site within hours. 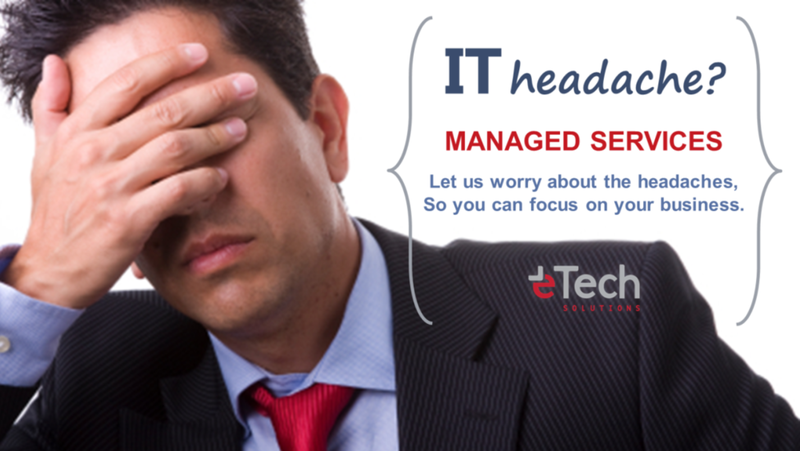 e Tech Solutions is wholly committed to giving you the service you need, right when you need it. And that not only requires getting there faster than others can, but also being able to quickly understand and relate to your issues. With an average of 15 years of "client-sided" experience, our service team members have the unique ability to empathize with your specific pain points. "We've yet to encounter an issue which e Tech's systems engineers have not resolved." "All of our work with e Tech Solutions has enabled us to grow our business without expanding personnel and it also allowed us to improve our already exceptional customer service. We are repeatedly commended on the up to the minute information that our web-based system provides." "Our custom applications, developed by e Tech Solutions, have enabled us to manage inventory in real-time, utilize valuable business intelligence to make key business decisions and afforded our in-store managers in each of our 280+ stores the time to take care of our number one priority, our customers. We view e Tech as a strategic business partner." please visit our SUPPORT page. Thank you! A representative of e Tech Solutions will contact you shortly. 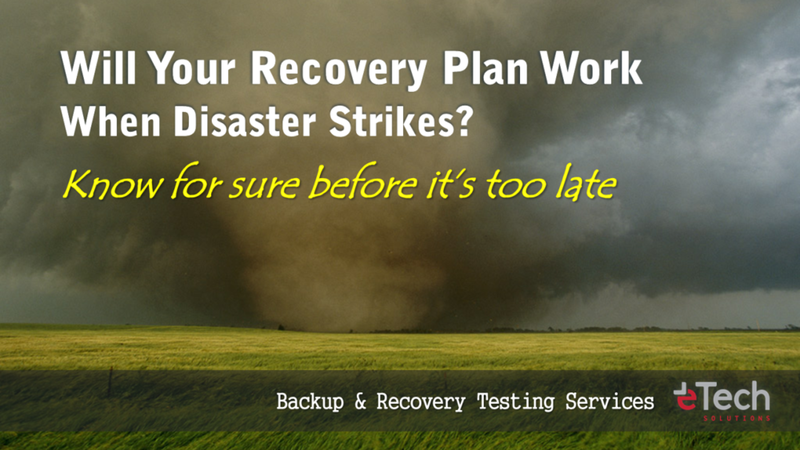 Please feel free to call us if you need immediate assistance at 866-608-4044 toll free or 405-608-4000 local. We can help! Contact us today.